San Francisco house producer and hip-hop artist, Channel Tres has made his Australian debut, playing at the Spilt Milk festival with a selection of intimate sideshows. Performing a mid-week sideshow at the Woolly Mammoth in Brisbane, Channel Tres exceeded expectations with his vivacious vibe. Supported by Brisbane hip-hop Miss Blanks, who has recently shared the stage with Charli XCX and Zola Jesus, the energy was pulsing from the get-go. The crowd filled up the Woolly Mammoth by the time Channel Tres, dubbed “The Controller” had arrived. Introducing himself as such, he opened with ‘Controller’, one of his breakout singles. With choreographed dancing by the artist with support of two backup dancers, the show became vivid and groovy, the perfect vibe for a midweek pick me up! 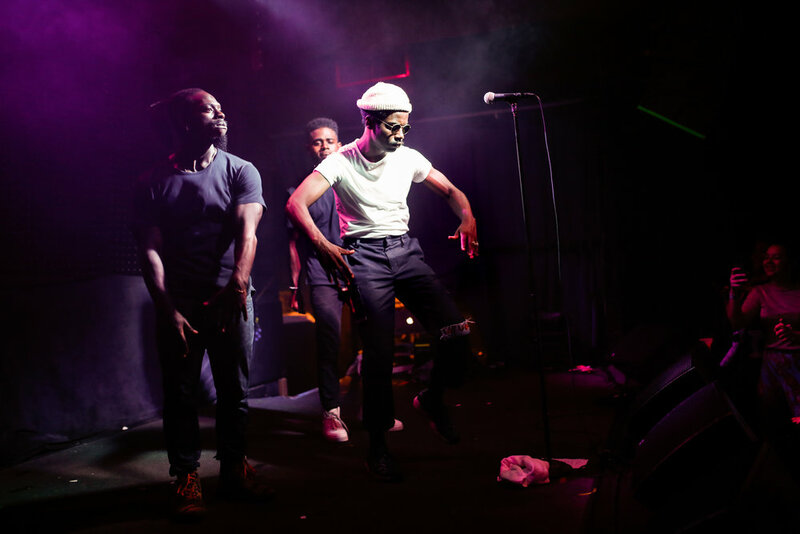 Channel Tres performed his entire self-titled debut EP, as well as two banging unreleased tracks. It’s hard to pick a highlight from his set, when each track was exciting and allusive in a different way. Before closing the show, the San Fran muso encored, ‘Controller’ to the excitement of the crowd; who were adamant in shouting the lyrics back to him. With stunning flow and charisma, and plenty of bass, US producer Channel Tres set the bar high for artists with only one EP to their name.